The GitHub Student Developer Pack is a great free offer for students, with terrific tools and services from GitHub partners, but felt it was missing something: our world-class IDE. Today we’ve announced that Visual Studio Community 2013 is joining the GitHub Student Developer Pack, and is tailor-made for the student, startup, open-source, and cross-platform communities, many of whom can be found on GitHub already. View the Agenda to see Boston Code Camp 22 at a glance. View the Session Schedule by Room to see the schedule for all rooms. In October 2013, Hacking Pediatrics held the first hackathon ever focused on pediatric healthcare. It was sponsored by Boston Children's Hospital in collaboration with MIT's H@cking Medicine. In under 36 hours, 16 teams brought to life incredible ideas that will change the lives of children and their families and we are doing it again this year. Hacking Pediatrics Hackathon 2.0 will once again bring together the most innovative minds to disrupt pediatric healthcare. Today the Visual Studio team released the Visual Studio Tools for Unity add-on (formerly known as UnityVS). VSTU is Microsoft’s free Visual Studio add-on that enables a rich programming and debugging experience for working with the Unity gaming tools and platform. This is our first release since the acquisition of SyntaxTree, and we’re excited to have the opportunity to reach to the Unity community with Visual Studio. Unity, the popular game engine for Windows and Windows Phone, continues to add features that increase developer productivity, making it easier to target the Windows platform with your games. Their most recent Unity 4.5.1 release has better, faster 2D graphics, improved touch screen keyboard support, compass, and a number of bug fixes. 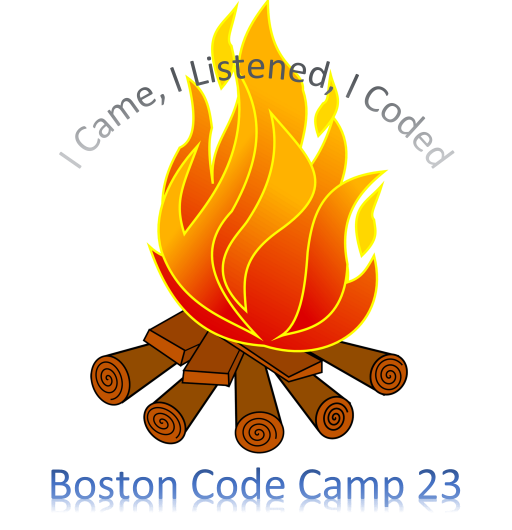 The full schedule follows, you can also view the Agenda to see Boston Code Camp 21 at a glance. View the Session Schedule by Room to see the schedule for all rooms.